U.S. Army Garrison Stuttgart was one of two garrisons named as Most Improved (and the only overseas garrison to be recognized) in the 2014 Army Communities of Excellence program in an announcement released to the garrison April 21. 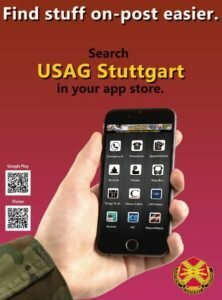 USAG Stuttgart will receive a $10,000 monetary award. 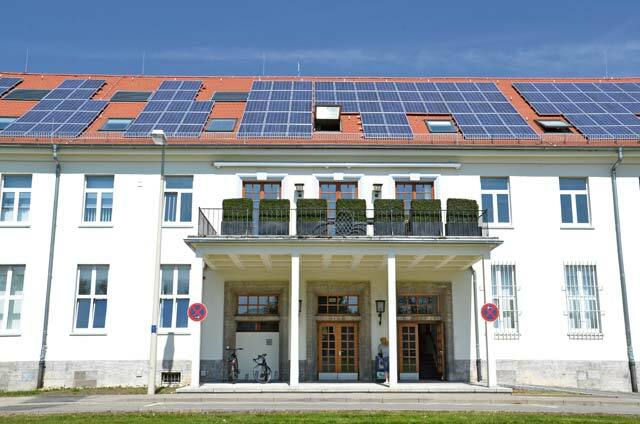 The roof of U.S. Army Garrison Stuttgart’s headquarters building is covered with solar panels. The garrison was recently recognized in the Army Communities of Excellence Program for its aggressive energy and water efficiency programs, which include installing solar panels on buildings across the garrison, replacing street lights with more efficient LED lights, using motion sensitive LED lighting in building hallways and installing water-saving aerators on faucets. By using criteria established for the Malcom Baldrige National Quality Award as a framework for performance assessment, the ACOE program helps participating Army installations/communities focus on providing excellence in facilities and services in support of Soldiers, their families and civilians. Baldrige-based performance assessments provide opportunities to identify best practices in installation management and reveal potential opportunities to apply appropriate performance improvement tools. • Will receive a $100,000 monetary award. • Will receive a $60,000 monetary award. • Will receive a $60,000.00 monetary award. • Will receive a $30,000 monetary award. • Will receive a $10,000 monetary award. • Will receive a $10,000. monetary award.